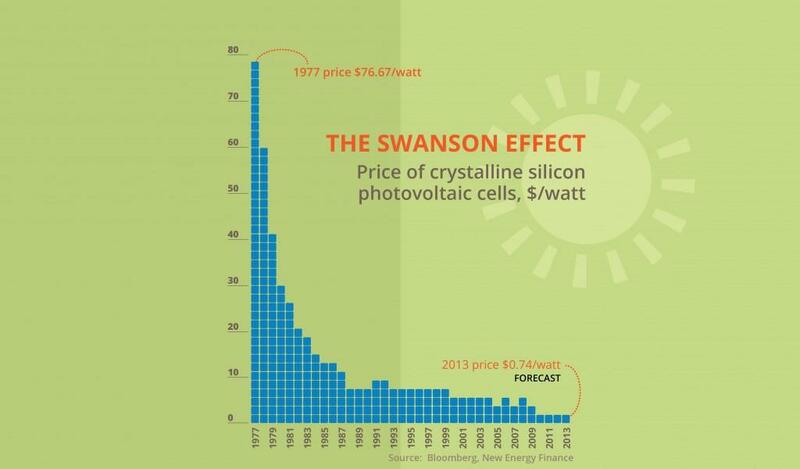 The Swanson effect (see graph below), based on Swanson’s Law, states that there is a predictable pattern to the way the cost of the cells used in solar panels are decreasing, about twenty percent every ten years. Rates were much higher in 1977, a whopping $76.67 for each watt whereas in 2014 these dropped to just $0.36 per watt. Even at these lower prices, for anyone who is a newcomer to the topic of solar energy, identifying a good plan for securing a solar energy system can be overwhelming. 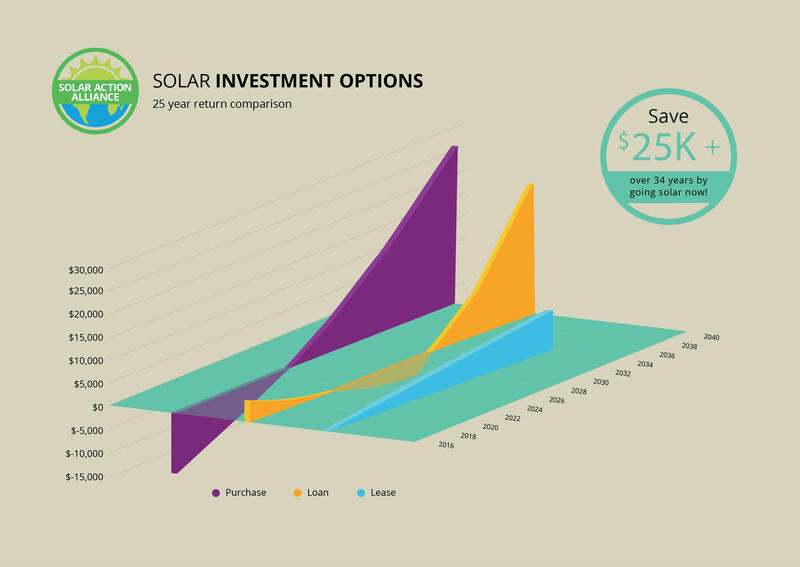 The initial investment in solar energy can be as much as $20,000 for a 5kW system. When you take into account that each state sets its own policies and rules regarding solar energy system installation and in the tax rebates and credits it offers, this can still be a substantial expense. In Vermont, you can rake in quite a bit of money with a solar power system over time. Electricity costs in Vermont are sky high and there’s enough sun for your solar system to start saving you big dollars from the first day. There are three ways to fund your solar energy system. You can lease a solar panel system, use a HELOC or home equity line of credit loan, or purchase your solar energy system with cash. 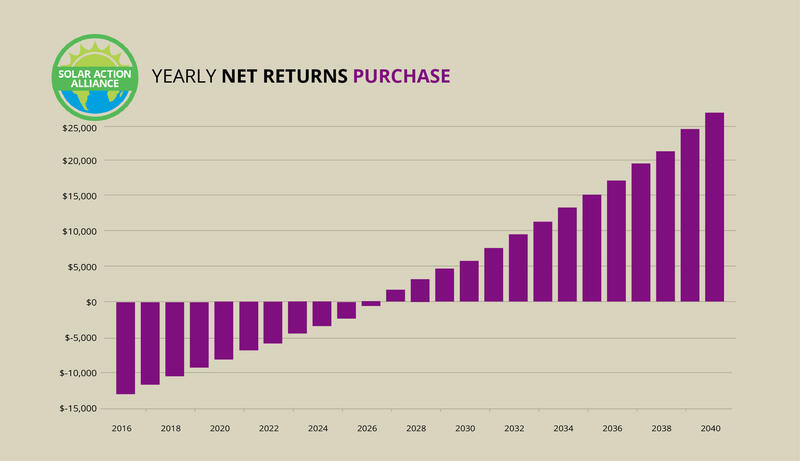 If you review the comparison graph up above, you will see that it indicates that buying with cash (green bars) provides the biggest return in investment over time but look again. The home equity line of credit or HELOC option means no initial cash outlay. You get a huge benefit in the first year, then pay monthly a little at a time and as indicated by the orange bars above, you spend thousands less. The final option as indicated by the blue bars is the Power Purchase Agreement (PPA) or solar energy lease option. In this option, you basically rent your roof to a solar company who installs solar panels and provides you with electricity. You pay them monthly, a great alternative for those who don’t have equity in their home or who lack the cash up front for a purchase. In a solar lease or PPA, you make payments each month to a company that agrees to install the solar panels on the roof of your home at no expense for you. In most cases, your monthly payment to the solar panel company will be about $21 less than your electric utility company payment. And you will be using clean, renewable energy and a solar energy lease typically requires zero cash up front and gives you substantial savings over a twenty-year period. In Vermont, electricity rates nearly 50% above the average rates for the nation. Currently you’ll spend around $800 annually on lease payments for a 5kW solar energy system but those panels will produce enough energy to save you $1,053 each year. So, when you say yes to a solar lease, you get a reward of $253 the first year. That’s not all. Your savings every year will get bigger due to rising utility company rates and over a twenty-year period, you save a total of $9,355. Get ready to brag to all the neighbors because you get all this without the hassle of owning and maintaining the panels. All that work is done by the solar company. The only downside to leasing a solar energy system is you don’t get to take advantage of all the perks available to those who purchase a system. Let’s see how those other two options might work. Back in the day, the sole option for obtaining a home solar panel system was to buy it outright with cash. This remains the option that generates the “largest” returns on your investment. We say “largest” because with reduced equipment pricing and a 30% tax credit at the federal level, solar energy is at a lower price than it has ever been. And in Vermont, after just 11 years your solar power system has paid for itself. With a cash purchase, you need to lay out up to $20,000 of your money. But after the first year a lot of that is wiped out by that 30% tax break ($6,000) and what you save in energy bills ($1,053 in first year). Your system pays for itself in 11 years and generates more than $27,000 for you over 25 years. That’s an internal rate of return on your investment of 9.9%. 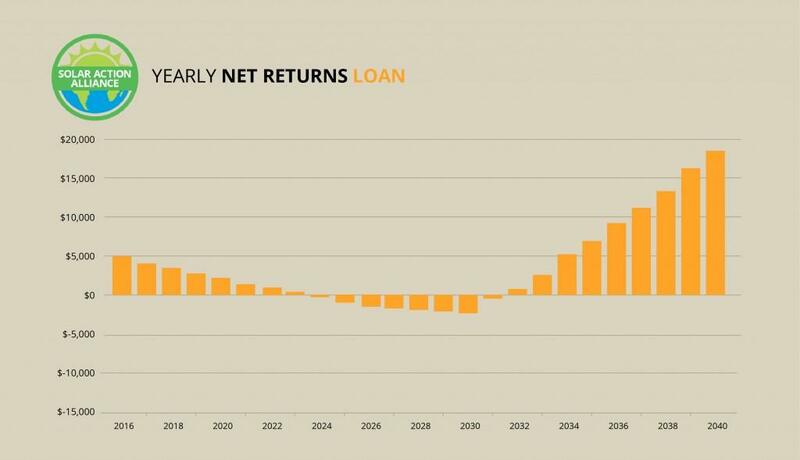 With a solar loan, you are taking out a loan but still purchasing the system up front. For Vermont residents, wanting to switch to solar, this means a tax credit of 30% at the federal level as well as substantial energy savings each year. Yes, you will have to make a monthly payment on the loan for the next 15 years, but with the benefits available in Vermont, the first year gives you a chunk of savings so big that you won’t really be spending your own money until the 9th year. So, if you can secure a HELOC or home equity line of credit, with a 5% or lower interest rate, this is the way to go. With a HELOC, you are purchasing the system, so you need a loan for the initial $20,000 but don’t have to lay out cash up front from your own pocket. Your loan payments the first year will run about $1,898 which is higher than your utility costs which would have only been $1,053. Why consider an option where you pay more the first year? You still get a large break on your taxes because according to the rules of Uncle Sam, you bought a solar panel system outright which earns you that tax credit of 30%. So that’s$6,000 you don’t have to pay in taxes the first year. You come out $5,155 to the good that first year and every year after that is pretty good too. Annual electric savings minus cost of loan amount is about $808 for the year or $67 monthly beginning in the second year. By 2030 when your loan is paid off, annual savings will be approximately $1,760 for a total of $18,546 over 25 years. Not bad for a zero down option. Vermont, just like all the other states across the country, gets to make its own rules regarding solar energy accessibility. 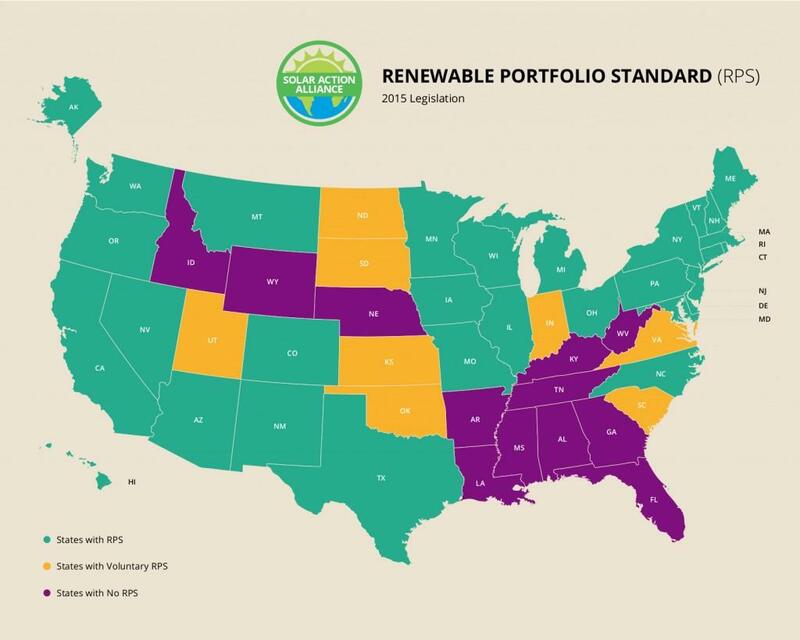 In states where rules are favorable, solar does well and is prevalent. In other states, where rules are poor or even nonexistent, the leap to solar power isn’t so easy to achieve. Vermont is actually doing fairly well in this department. They have an RPS of 75% by 2032. Their mandate also requires that 55% of all electricity be produced by renewable energy by the year 2017. This is great and earns them a rating of 2nd best in the nation, second only to Hawaii, when it comes to the Renewable Portfolio Standard. This is a huge incentive for public utility companies to help Vermont residents make the switch to solar power. They can count the energy from your solar system and those of your neighbors in order to help them meet the RPS goal set by the state. If they meet the goal, they avoid the high penalty fees so it benefits them too. 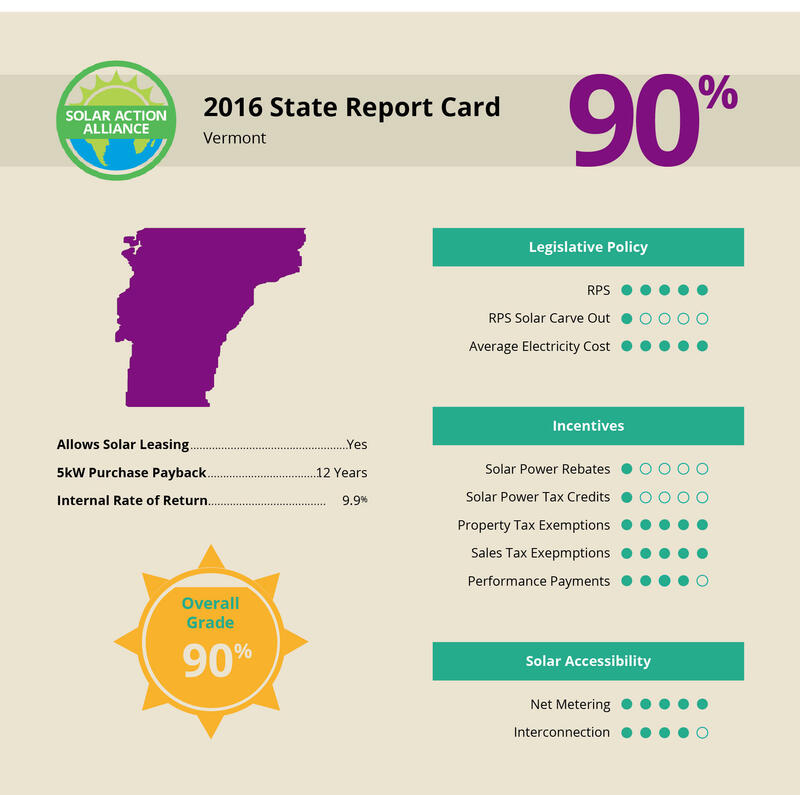 Vermont ranks 9th in the country on the 2016 Solar Report Card. Payback time on a 5-kW solar energy system is 12 years with an internal return rate of 9.9%. Vermont has no solar carve-out, no state tax rebates or tax credits, so for these categories it earns an F grade. Thanks to Green Mountain Power however, Vermont residents can take advantage of a statewide performance payment program. Green Mountain pays out 5.3 cents per kilo watt hour for any solar energy your system generates. You also keep and then sell your (RECs) renewable energy credits generated by your system’s electricity, this means added profit and savings for you. Vermont also gets an A for RPS targets of 75% by 2032 and for Electricity Cost which is the 7th highest in the nation, at $0.18kwh, so your savings with solar are higher. Net Metering, the policies for monitoring how your solar system generates energy and how you use it, is strong in Vermont and gets an A grade. All extra energy generated is reflected in your bill as a credit at the retail rate. The credits go back to the utility if you don’t utilize them within 12 months, which isn’t the ideal but is better than other states. Interconnection policies around how your system connects into the grid are not as great in Vermont and get a B grade. You may not pay additional fees other than the minimum fee each month but unless your utility waives it, you will need an external disconnect mechanism and a minimum of $100,000 of liability insurance on your system. Vermont has a 100% property tax exemption and 100% sales tax exemption for solar, which is good news for you because installing solar means you save money on the purchase and your home’s value increases by as much as $20,000. Vermont is becoming more progressive with its solar policies. There have been discussions in the recent history around making renewable power targets into more solid mandates. 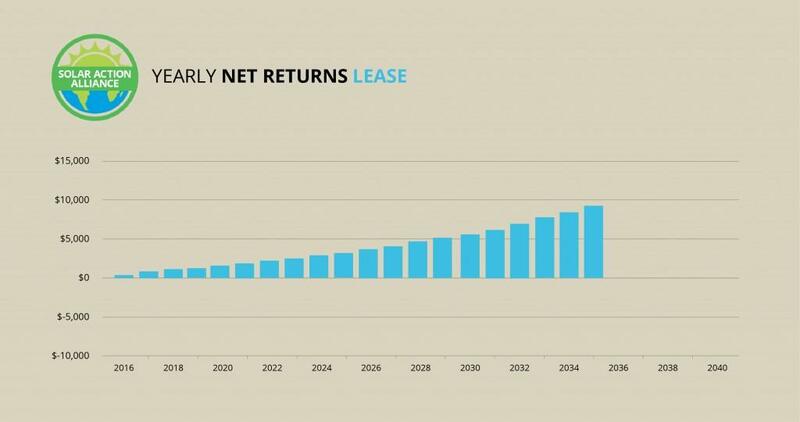 Combined with the incentive program for performance offered by Green Mountain, these are solid signals that future solar payback times could drop to ten years. So Vermont earns a decent B+ grade overall but it could still do a little bit more to care for its environment.